Recently we have been busy with our Lorax Project along the Yea River and it’s tributaries. In late September a large team from NAB planted almost 700 plants at the Lawson property in Murrindindi and another team from JBWere helped plant and mulch over 225 plants at the Break ‘O’ Day Rd Reserve in Glenburn and then after a BBQ lunch we put in another 50+ at the nearby Alf Miller Park. 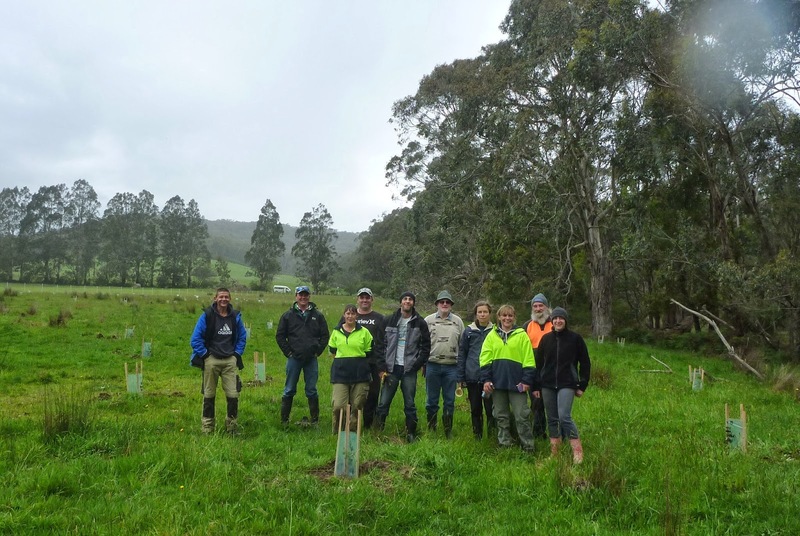 On 24th October a group of TAFE students studying Conservation and Land Management planted 250 trees and shrubs on a section of the Katy’s Creek at ‘Graceburn’ the farm of Sally and Tom Abbott-Smith who also provided a delicious BBQ lunch. 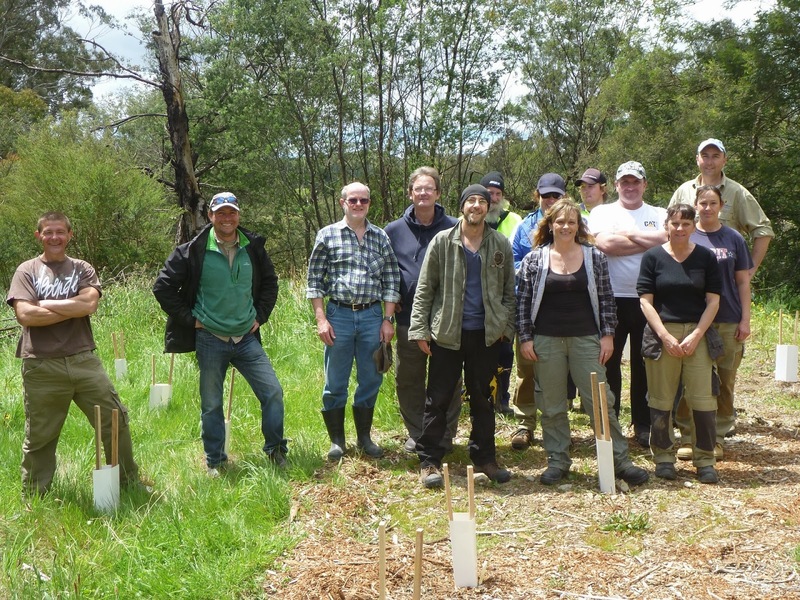 Our final Lorax Project planting for the year was on 29th October on the Yea River at Devlin’s Bridge. Again the TAFE students returned to plant many trees and shrubs. 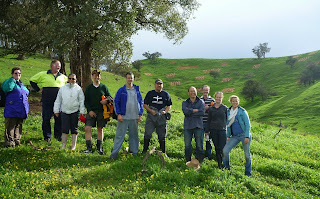 After the planting it was back to Graceburn where Tom gave the enthusiastic students a tour of his free range chook and cattle farm. 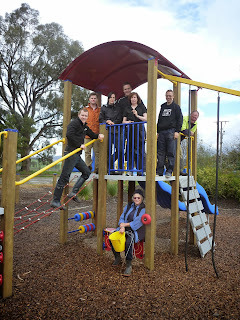 The Lorax Project has now come to the end of another very successful year. 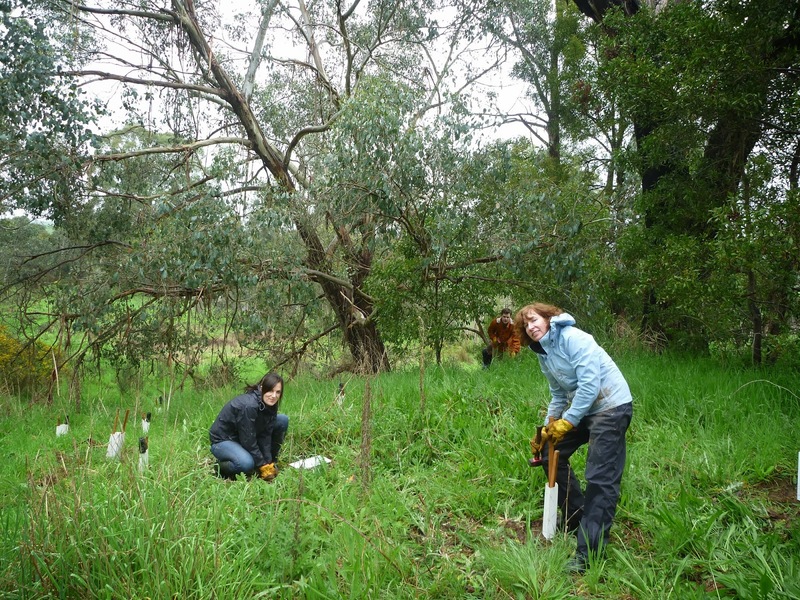 This year over 500 volunteers from NAB, ANZ and JBWere and students from Yea High School, Flowerdale and Kinglake Primary Schools and many more planted over 10,000 plants on farms and properties from Strath Creek and Kinglake across the Upper Goulburn region to Marysville and Buxton. 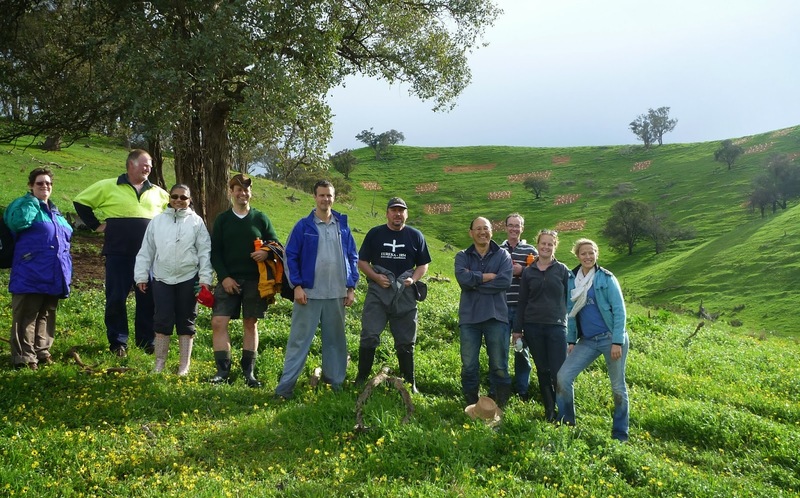 If you are interested in volunteering with our Lorax Project in 2014 or a landowner thinking about revegetating a section of your property contact UGLN Landcare Coordinator Chris Cobern on 5736 0104.